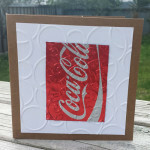 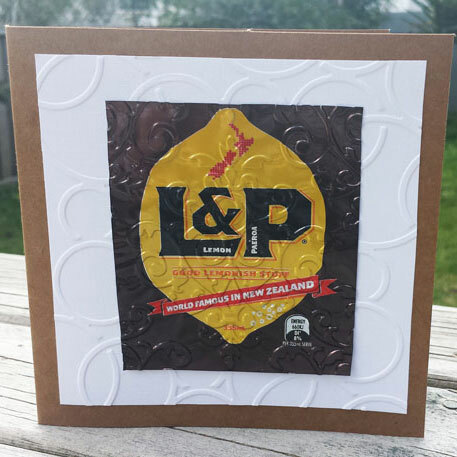 Handmade L&P can label on white embossed bubble background, attached to brown card. 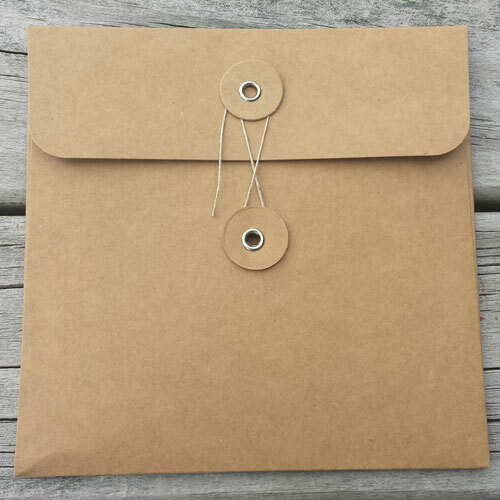 Includes brown heavy card envelope with string closure. 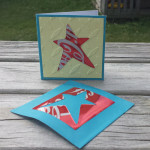 Card is blank inside.